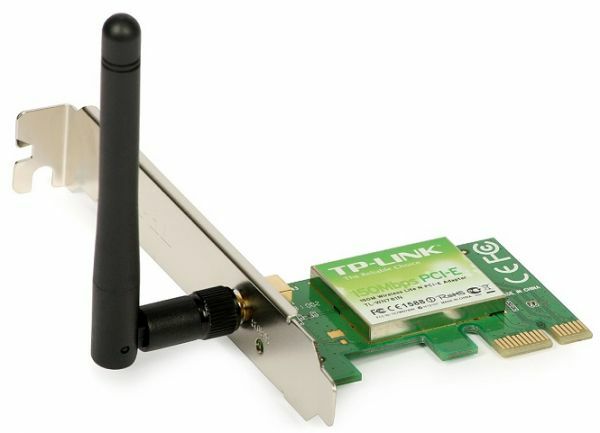 Compared to standard PCI network cards, TL-WN781ND offers increased bandwidth, reliability and functionality. It delivers up to 150Mbps wireless transmission rate, allowing you to have a joyful surfing experience, including sharing files, watching streaming media. TL-WN781ND has one detachable antenna that can be rotated and adjusted in different directions to fit various operation environments. And also, the antenna can be replaced with diverse indoor antenna or directional antenna to show wider wireless coverage. A friendly user interface on a CD for simple installation. WPA/WPA2 encryption standards ensure wireless connection's safety.